A big, exciting thing for us this year is that we are planning on spending cyclone season in Australia! Normally we don’t have too much work to do to visit a country, but with Australia, we’ve got our work cut out for us. A few rainy days in Tonga with cell phone service got the ball rolling on planning our visit. We filed online for a 1-year subclass 600 visitor visa to Australia. The online application was pretty easy. The hardest question was “In the last five years, has the applicant visited, or lived, outside their country of passport, for more than 3 consecutive months?” That required listing every country we went to and the dates. Despite traveling full time for almost 3 years, we’ve been outside of the US for more than 3 months only twice. Each of those times included a lot of different countries. Which had to be entered individually….from a drop down menu…with dates. We submitted the applications on June 29th. On July 4th, we received the response that we needed to do a medical evaluation and chest x-ray by a Department of Immigration and Border Protection-approved physician. The closest physician was either Tongatapu, Suva or Lautoka. We had 28 days to respond via email. I asked if we could wait until we were in Fiji to do our exams. I never got a response…so I waited and waited. Finally, I just made an appointment in Suva and uploaded a PDF of the emails with the doctor as “evidence of intent to procure medical appointment”. That was the way to do it because we got a confirmation email shortly after. So, upon arrival into Savusavu, David and I booked a flight to Suva. The doctor we visited was fantastic (Epworth Clinic). The appointments cost $320 FJD each ($160 USD). The doctor told us she would have everything uploaded to the system within 5 days. She did call me the next day to ask a follow-up question about a positive TB test I had as a kid. Obviously, TB is a big concern, but it was 20+ years ago. We were very concerned that after the medical information was filed, the Australian government would ask us to do something else in person, like biometric readings. We tried to contact a ton of people (even going to the TT Services office in Suva) asking if we could just go ahead and do our biometrics when we were in town (they only cost $37 FJD). The other option, if they were to require it, would be to either fly back to Suva or wait until we got to Viti Levu in the boat (late September) and take a bus. No one would take our biometrics, so we went off to the airport concerned we’d have to come back, but sitting in the cafe we received the email – approved! We have a one-year visa that we can start anytime between now and August 2018. We need to be south of approx 25° S (roughly Brisbane) by December 1st. Our plan is to enter Australia at Coffs Harbour. From there, we will cruise down to Sydney for New Year’s Eve. We have several friends who were there last year – Red Thread, Balikcil, and Escape Velocity. In January we will head north from Sydney to The Boat Works, just south of Brisbane, where we will store SH for six weeks. 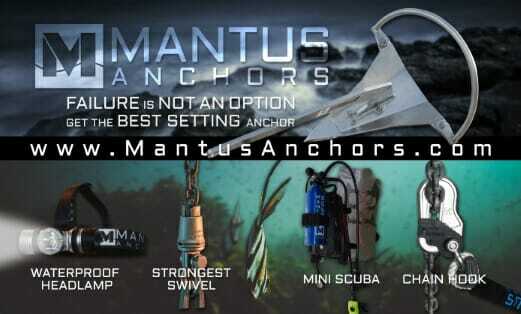 We do have a few major projects to do – replacing our batteries, replacing our lifelines, purchasing dive gear and installing a dive compressor are at the top of the list. And of course, we want to get out and explore the rest of the country. 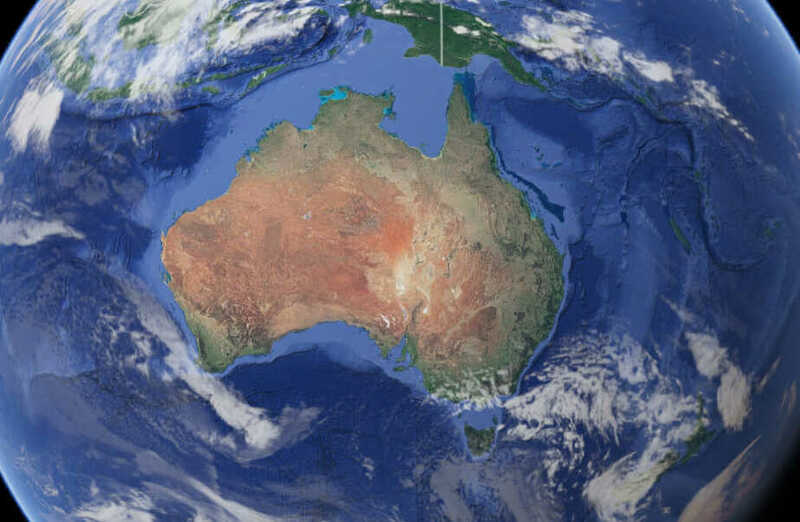 I’ve been to Australia before; my dad took me on a three-week trip, touring the east coast and central areas. David has never been. 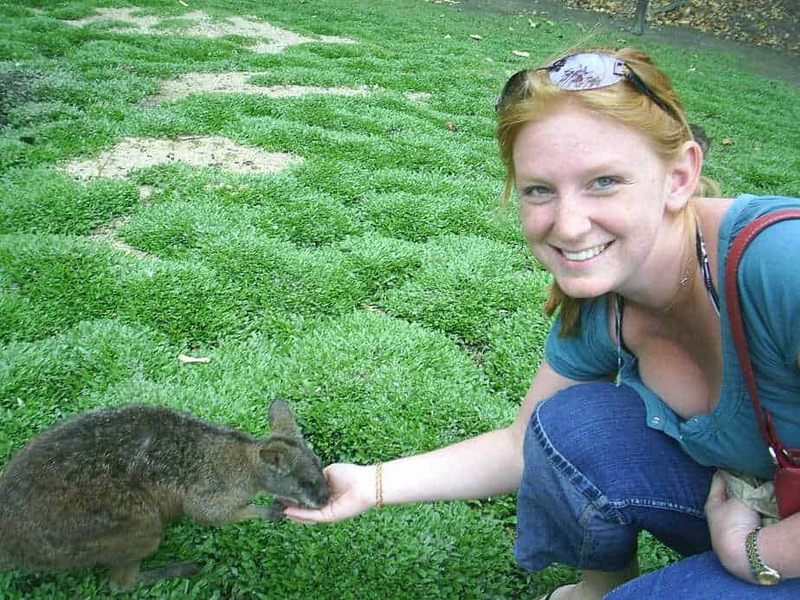 Me and a wallaby in Cairns, 2007. It’s so easy to fly around Australia, and most of the cities have decent public transportation. I think we will spend about 6 weeks in Australia roaming the country. Must dos on our list: Melbourne, Hobart, NYE in Sydney Harbour, and Urulu in the outback with the Field of Light art installation. Once cyclone season is over (April 1st for us), we will start to make our way north, cruising the grounds between Brisbane and Cairns. We’ve decided to join the Wonderful Sail 2 Indonesia Rally that leaves from Cairns (Thursday Island). Then of course the fun stuff – visiting friends! We’ve made a few Aussie friends as we’ve been cruising and we look forward to meeting up with them. I’d imagine some of you reading this are Aussie too. We’d love to hear from you for tips for our visit. Keep an eye on our facebook page too – we might have to plan a meetup or two while we are touring. After 37 years of marriage we love being together and see that same sense of fun in each other’s company in the two of you. Hi guys! What a sweet note! You are very kind. We are looking forward to Australia, and right now Horizon Shores is our top pic for a place to store the boat. We would love to get together while we are in the area. OMG we will be in Sydney from Boxing Day until New Years. We’re going to watch the Sydney to Hobart race and then spending the week. Hopefully, we’ll get to meet you! That would be great! We’d love to meet up. I hope we can have a few “open houses” while in Australia. I will post about them on our Facebook page. I love the picture. I am so glad you had that wonderful trip with dad. I do remember your positive TB test, in second grade, and your nine month treatment. Love you guys! The doctor asked if I had any documentation about it. I said no! Too long ago. Nice try Aussies. Sweet! We would love to meet up too! I plan on us having some “open houses” in Australia…will post about them on our Facebook page.